*I received a free BloomsyBox bouquet for review purposes, but all opinions here are my own. Well, it is indeed that time of the year and we have already changed the clocks and the first day of Spring is approaching on March 21st here. So, it would make sense that I would have flowers on my mind and thought it would be fun to list a few reasons why having flowers in the home are the perfect addition to your living space. Lighten Up The Rainy Days – They really do brighten your day and bringing some spring indoors on a possible rainy spring day. Fragrance, Fragrance, Fragrance – Their scent has a calming effect and fresh flowers really do just happen to smell that much better. Time for Spring Cleaning – What better way to inspire and motivate to get some much needed spring cleaning done. Enjoy The Season – This is simply a way to further enjoy the upcoming Spring season and get the spring flower offerings to enjoy in your very own home. Why not flowers? – Seriously, get flowers just because. I mean do we really need a reason to have fresh flowers in our home. Now, you can can do just that by joining BloomsyBox, which is subscription service that you sign up for that conveniently delivers handpicked single variety bouquet of flowers monthly directly to your doorstep. But how does BloomsyBox work? 2. BloomsyBox Picks the Flowers – Your flowers will be handpicked and shipped to you fresh. 3. Enjoy your beautiful bouquet! – Let your new blooms brighten up your living space. Fresh Flowers from the Farm delivered directly to your doorstep. Premium blooms that BloomsyBox gets from around the world from the likes of South Africa, Holland, France, and even South America delivered once agin to your door in less than 48 hours. Treat yourself, because BloomsyBox firmly believes in the “Treat yo’self!” mentality with fresh blooms every month! Share the blooms with the blooming community by posting your pictures or videos of your fresh flowers and also interact with a growing community of people just like you! Do you like spring and fresh flowers? If so, sounds like fun, right? So what are you waiting for, get your very first BloomsyBox today! One of my favorite parts about spring are flowers!! The smellis juts so awesome and I definitely can see me getting a beautiful box of flowers in my house!! Ooh! I LOVE fresh flowers! Confessions of A Mommyaholic ME three!! One of those things I love but won’t spend the money on for myself! Oh my goodness!! I WANT Bloomsy Box! I love, love, love fresh flowers–a therapeutic dose of joy amidst all the crazy of our days! 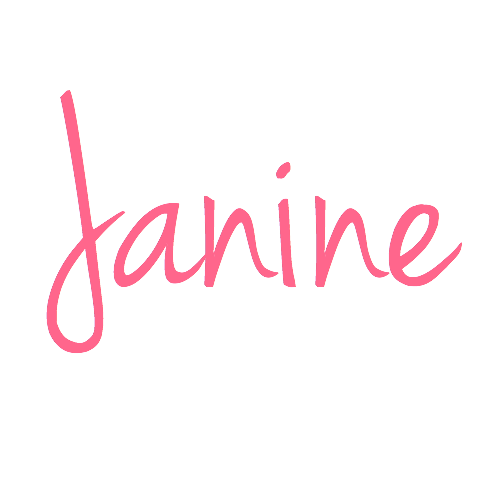 Those are gorgeous Janine!! You are so right, fresh flowers really do brighten up the house and always make me feel better!!! Fresh flowers are such a treat! Fresh flowers are a perfect way to boost your mood and make your house look fresh and pretty!!! Love what you picked!! Flowers make me happy – will look into BloomsyBox! I most certainly do love spring flowers. Those gerber daisies are such happy flowers, aren’t they? I have a friend who always has fresh flowers in her home and I’m always impressed. I have plants, but haven’t really gotten into the flower habit yet. I love fresh flowers too! They make me happy and make the house just so cheerful. Almost spring, hooray!! That’s kind of cool. After yesterday’s storm I could use some cheering up. My goodness we got hit hard….wettest winter ever here…..sigh! Oh my goodness wouldn’t this be just WONDERFUL to have every month? I want to gift someone with a package… to receive beautiful fresh flowers regularly surely has to make a difference in their lives. I am seriously going to look into how we can spend the money on this… It would be amazing! I think this would be perfect for Mother’s Day for my mother-in-law. I’m sure that she’d really appreciate this and it will surely brighten her day. Love your bouquet, truly colorful! Aw, I am so sorry to hear that Kenya and I do know certain flowers can be very strong and overwhelming with smell alone. That’s pretty nice. It would make such a great gift for someone! I can just imagine doing that for someone. Thanks for the idea! Fresh flowers and plants always brighten up the room, or anyone’s day for that matter! Too bad it’s super hot here as we are approaching summer in the country and the flowers will probably die right away. Pfft. Aw, sorry to hear that Rea and we are a bit behind, but you are right about summer with flowers outdoors here, too. Fresh flowers really do make a big difference, especially in colder and/or rainier months. What a fun idea for a subscription flower service! What a cool idea! I love flowers and think it would be cool to be surprised each month. 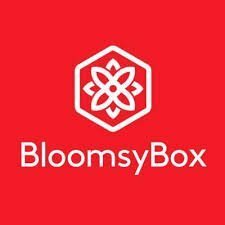 I have never heard of Bloomsy Box but looking them up. I love that they send Fresh Flowers directly from the farm. The flowers are beautiful too. They remind me of a beautiful spring day. My daughter asked me if we could have more flowers in the house, might have to check this out. Oh yes, we LOVE fresh flowers in our house. They make the whole place smell amazing. Nice flowers. I love how they put a posotive light in a rainy day. i totally love this. such a mood brightener! Such a beautiful fresh flowers, I like one to give it my lovely wife.Thanks for sharing.. Happy to share and wonderful gift for your wife. Those are really beautiful. Flowers really do light up a room.